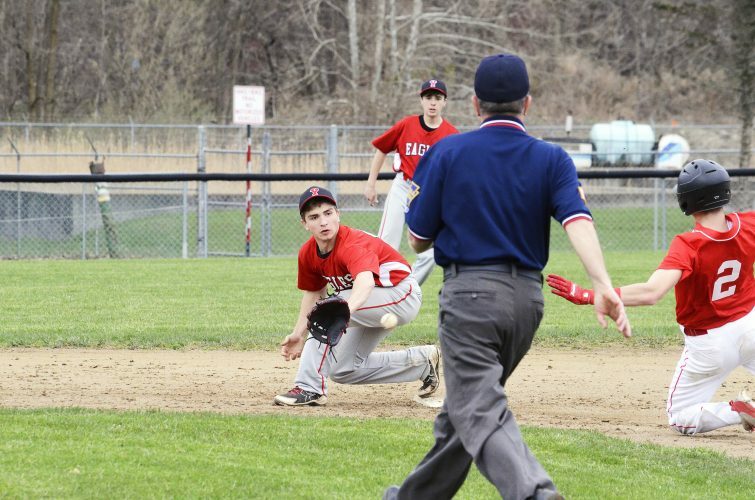 On their home track for the first time this season, the Sheffield Wolverines made it count. Hosting Johnsonburg, the boys recorded eight first-place finishes en route to a 72-64 win on a sunny Thursday afternoon. 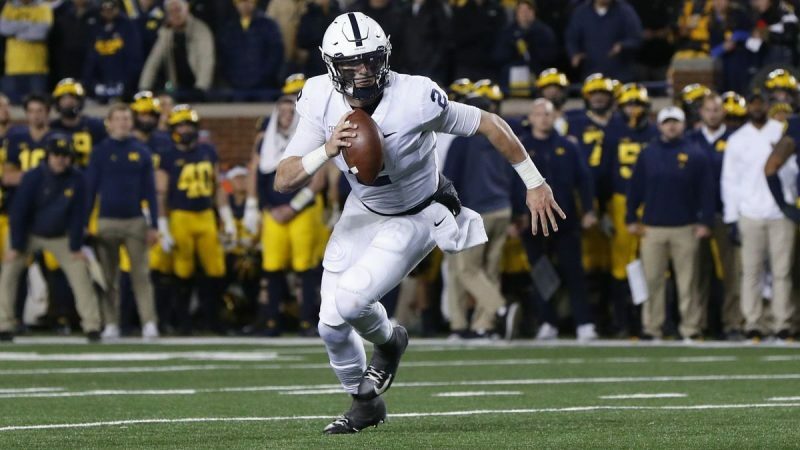 Caden Smead and Delentay Walker were stars for the Wolverines. Smead continued to show his prowess in the jumps, winning both the long (18-10) and triple (36-3), as well as racing to victory in the 400 (57.5). 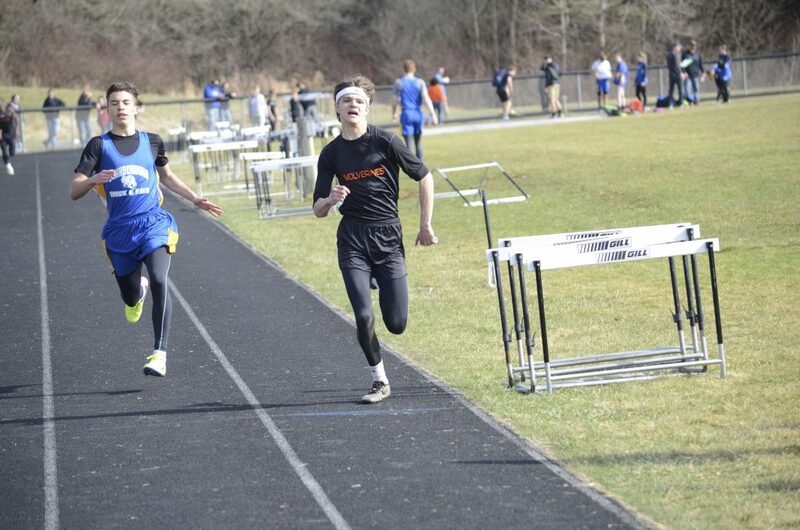 Walker, meanwhile, edged Johnsonburg’s Cole Secco by .05 seconds to win the 100 and was also impressive in taking first in the 200. Other first-place finishes for the Wolverines included the 3200 relay team, as well as Tim Clark in the 3200 and Matt Dunham in the shot put. 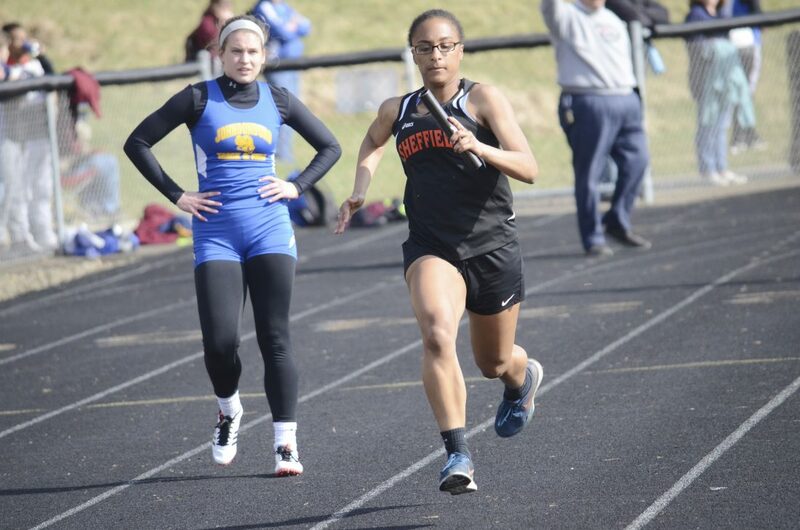 Sheffield’s Kyra Wotorson runs the anchor leg of the 4x100 relay on Thursday against Johnsonburg. Wotorson also took home a first-place in the high jump for the Wolverines. 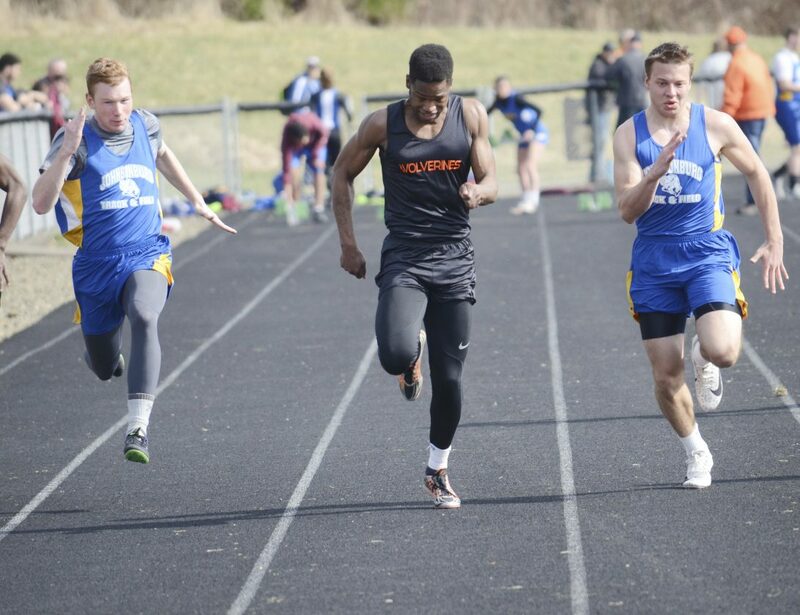 Clark added a second-place finish in the 1600, while Nicolas Tanburgh had three second-place finishes in the 110 hurdles, 300 hurdles and 3200 run. The girls, meanwhile, fell by a 94-22 score, but it was another stellar day for sophomore Emily Leichtenberger. 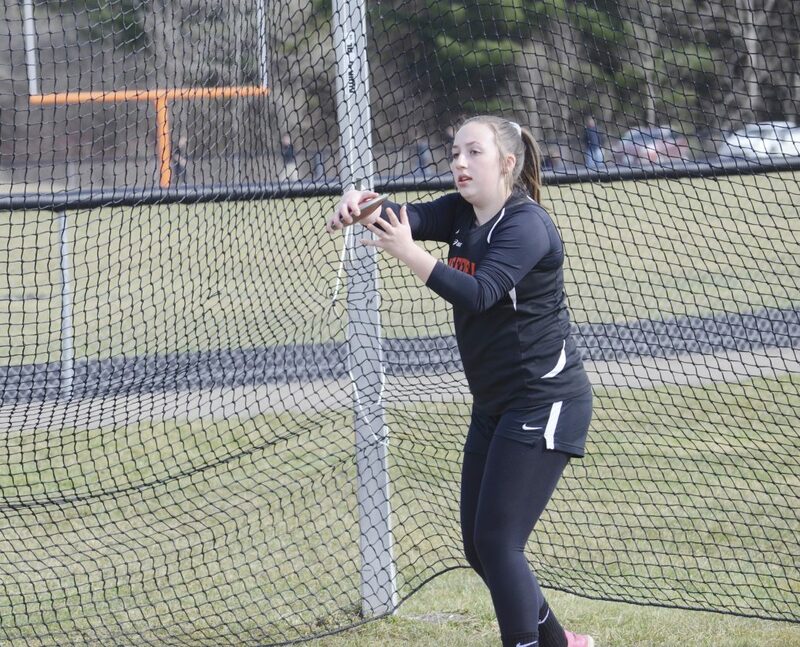 After two first-place finishes on Tuesday against Coudersport, Leichtenberger duplicated the effort against the Ramettes, winning the discus and shot put, while taking second in the javelin. Kyra Wotorson and Annabel Sheldon also went 1-2 in the high jump for Sheffield, which returns to action on Tuesday at Port Allegany, along with Smethport. 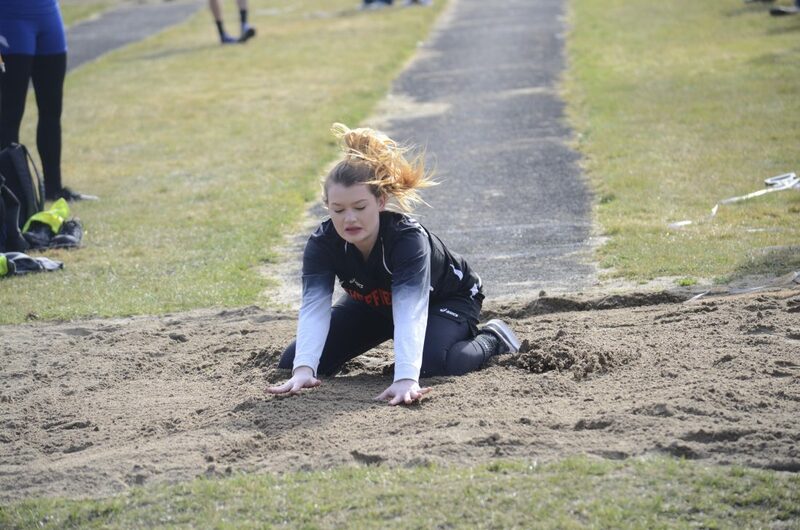 Sheffield's Annabel Sheldon lands after leaping in the long jump during Thursday's meet against Johnsonburg.